Genuine Fender® bridge saddle kit for American Standard Stratocaster®. Brushed stainless steel finish. Right handed. Complete kit includes saddles, intonation screws, intonation springs and saddle height set screws. 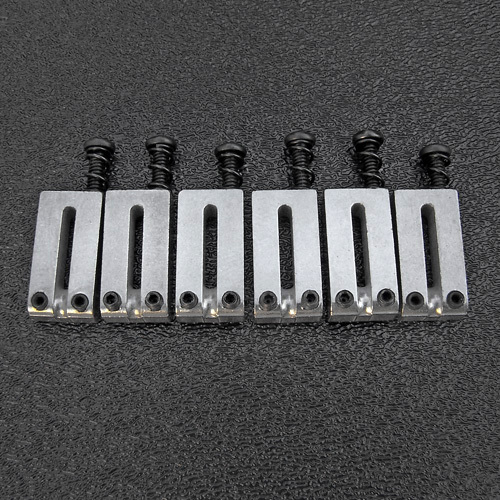 For American Standard Stratocaster® bridges with 2-1/16" E to E spacing. Each saddle is approximately 0.409" in width. Not for use with the wider string spacing bridges of the American Vintage Strat.